Such a beautiful building! Such a beautiful font! George Dahl designed the original building (on the left) in the late-1920s, and Thomas, Jameson & Merrill designed the expansion (on the right) in the early ’50s. Read about the building here. 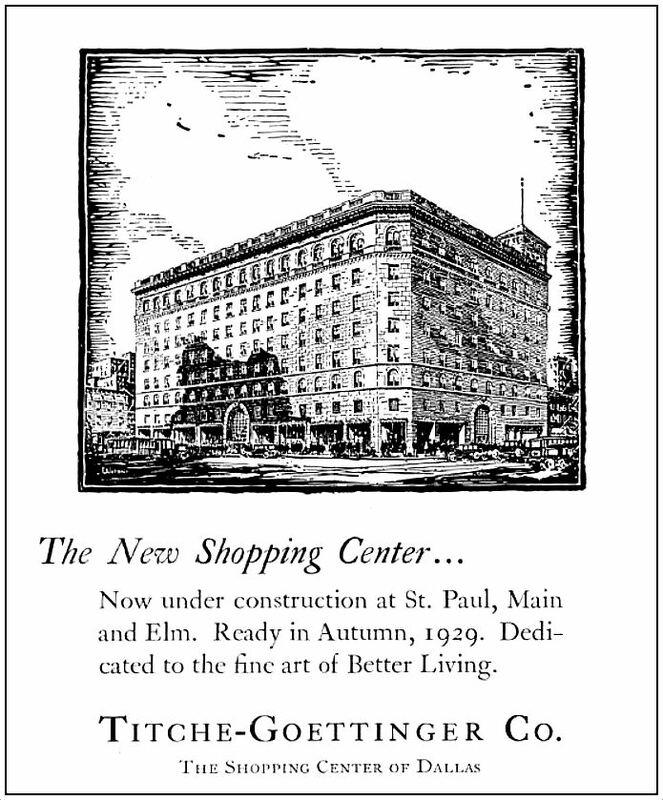 Everything you could want to know about Titche-Goettinger/Titche’s is here. UNT owns the building at 1900 Elm now, and it’s installed windows in that cool solid wall where the store’s name used to be. Check out photos of key renovations and read why they were made here. 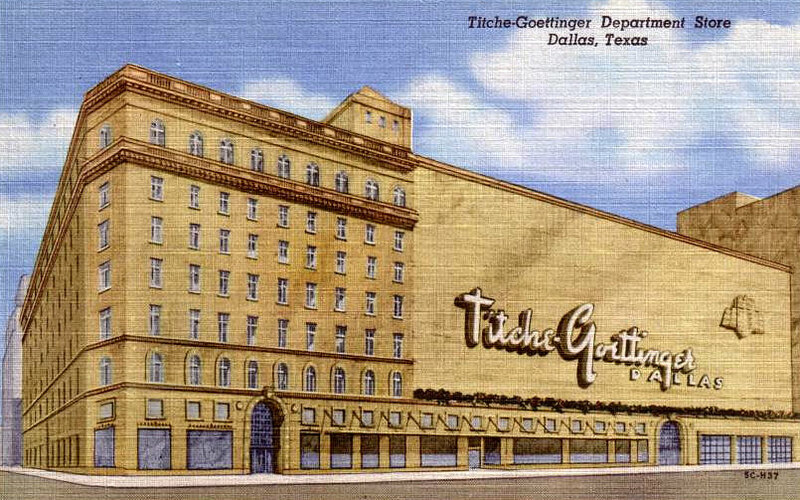 More on the Titche’s building (including news on its expansion in 1952 and an architect’s drawing) can be found in the Flashback Dallas post “Main Street — ca. 1942,” here. See the expanded building here.